I really like your explanation of the different generation of rodentcides. Customers are concerned everyday with a poisoned rat or mouse being consumed by their pets. Communication is very important with customers. Done properly, baiting for rodents will not harm pets. 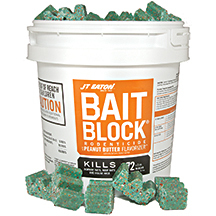 For exterior rat control, baiting is the most effective control of these pests.